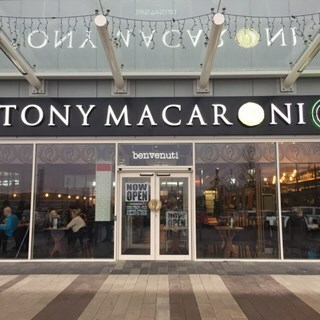 Tony Macaroni Glasgow Fort is in the Cinema Block and close to all of the shops. The restaurant is perfect for all occasions and suits everyone from couples, families to large parties. Brilliant service and a fantastic meal. Excellent value menu, quick food, didn’t feel rushed to leave even though there was a queue building, always friendly staff. The Presto menu was fantastic and staff were very accomodating when one person than the number booked for the table showed up. Plan to return! Arrabiata pasta was SO bland. Chicken burger was rolled so thin that when it was fried it was cooked to a crisp and could not bite through it. 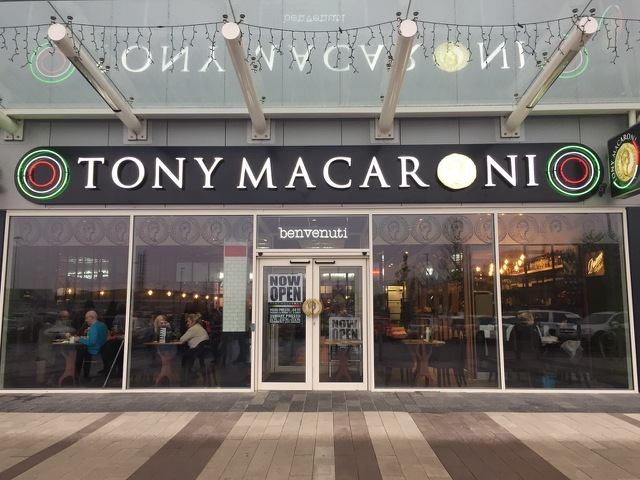 After putting on the booking it was for an 18th lunch, it was disappointing the staff didn't mention it or provide my daughter with a wee freebie like many other restaurants do. Great food and lovely staff, will be back! Disappointed with the spicy chicken burger and the chips. It was not freshly cooked or well presented. Those who ordered pizza were happy with their food. Though the restaurant was very busy! We had a lovely meal with friends! Excellent service from very capable staff!!! Absokutely great! Couldn’t have asked for better food or service! Great as always! Staff and food wonderful. Thank you again. We love visiting this restaurant at the fort and always have a lovely dining experience every time. However I joined viva Italia a while ago and have visited your restaurant twice since but have never received points from my visits when using my linked bank card. How do I rectify this? Great value for money with excellent service. First visit and really impressed. Our 16 year old son picked this place to go. Felt the decor wasn’t conducive to cosy dining but that is only a minor point. Staff were lovely and food was excellent. Highly recommend the aubergine stew to start! Fabulous food at fabulous price.